Many lubrication conditions are a mix between different conditions of varying severity. This means that there is a large group of lubricants with properties that can handle many different conditions, and hence can be used in a wide variety of applications. These products are multifunctional. Are Your Customers Dealing with Challenging Multifunctional Conditions? 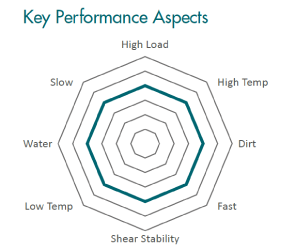 Download our Multifunctional Conditions Mat and learn more about a whole range of technologies and products (good, improved and optimal performance) you can start offering your customers today.